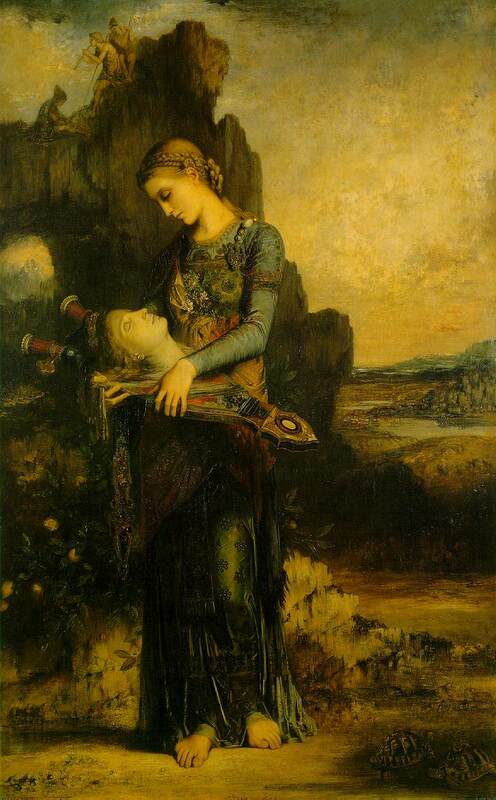 Moreau, Gustave (1826-1898). French painter, one of the leading Symbolist artists. 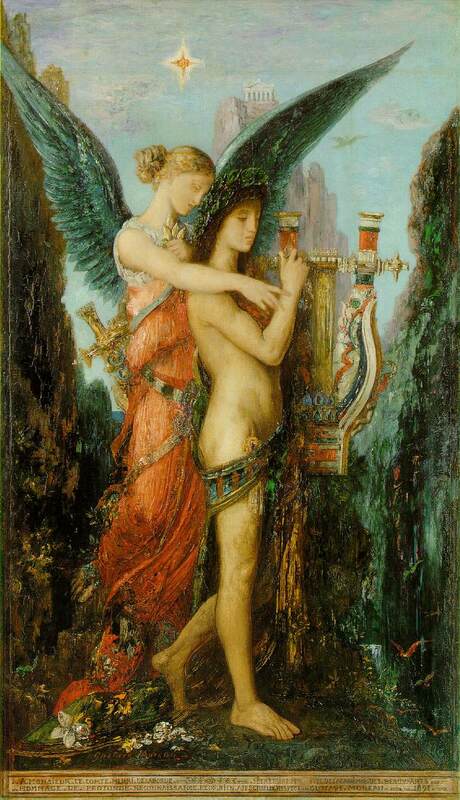 He was a pupil of ChassИriau and was influenced by his master's exotic Romanticism, but Moreau went far beyond him in his feeling for the bizarre and developed a style that is highly distinctive in subject and technique. 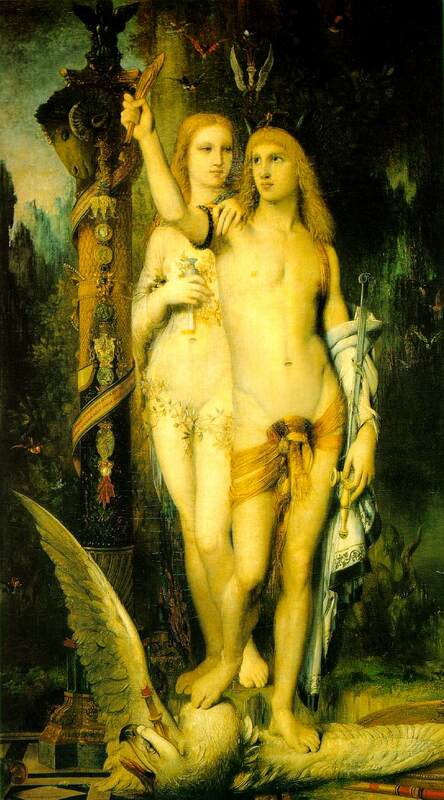 His preference was for mystically intense images evoking long-dead civilizations and mythologies, treated with an extraordinary sensuousness, his paint encrusted and jewel-like. Although he had some success at the Salon, he had no need to court this as he had private means, and much of his life was spent in seclusion. In 1892 he became a professor at the Ecole des Beaux-Arts and proved an inspired teacher, bringing out his pupils' individual talents rather than trying to impose ideas on them. His pupils included Marquet and Matisse, but his favorite was Rouault, who became the first curator of the Moreau Museum in Paris (the artist's house), which Moreau left to the nation on his death. The bulk of his work is preserved there.